Are you one son those who just think about cold weather and Lapland when thinking about Finland? 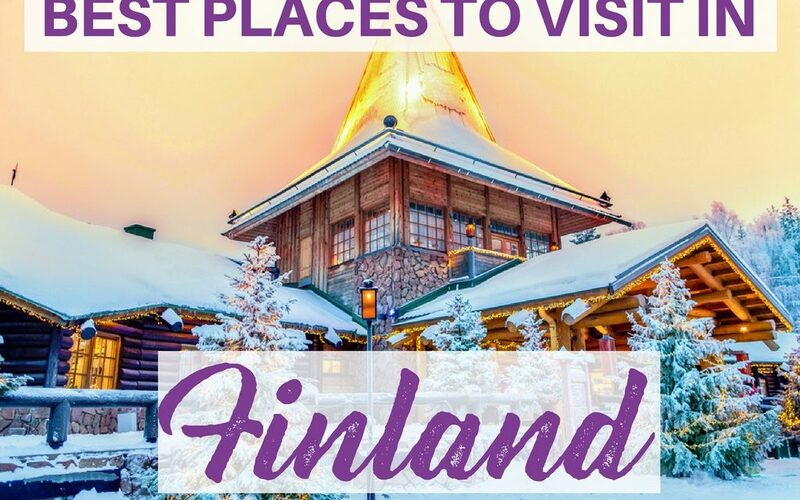 Then you need to keep reading as Finland has way more to offer than that – there are many beautiful places to visit in Finland and fun things to do and some of my fellow travel bloggers have shared their favorite places to see in Finland. 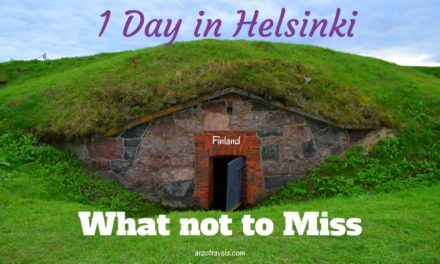 Find out where to go in Finland and what to do! Porvoo is the country’s second oldest town and is probably best know for its historic Old Town and colorful riverside warehouses. 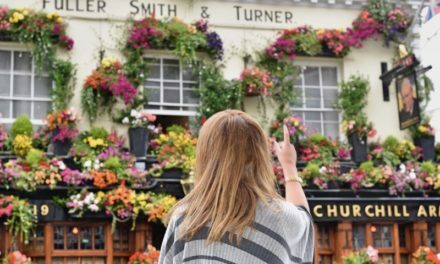 One of our favorite things was to do a walking tour of the historic area which included stops at the city’s historic cathedral, Old Town Hall, and a view of the city’s red riverside warehouses. 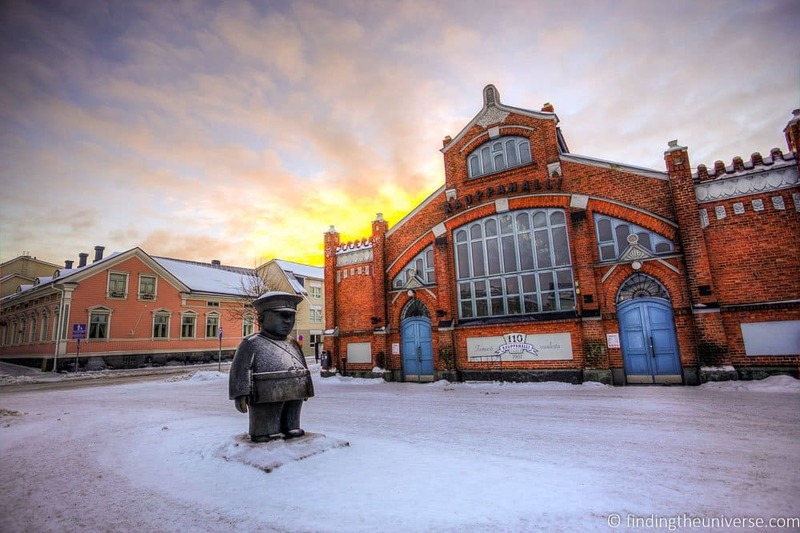 The town is also notable for its local artists, including Finland’s national poet Johan Ludvig Runeberg whose home is not a museum that can be visited. Other popular things to do include shopping, dining alongside the river, cycling, and taking a trip to the nearby Pellinki archipelago. One of the things to eat here is the local chocolates from the confectionery maker Brunberg which is based in Porvoo and has been making sweet treats since 1871. The town is compact and most of it is easy to explore on foot. The town is located only about a 45 minute drive or 1 hour bus ride from Helsinki, making it an excellent day trip destination or overnight stop from the capital. Cyclists can also easily bike here from Helsinki and in the summer you can even take a boat for a slower but more scenic day trip from Helsinki to Porvoo. 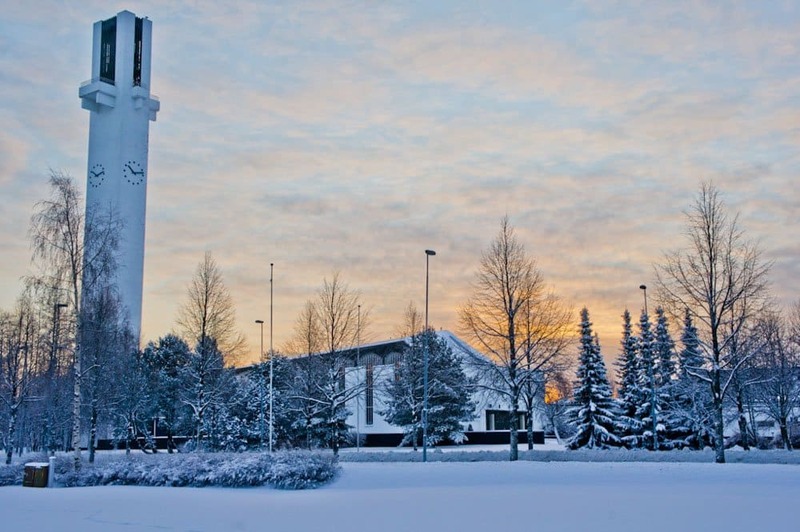 Oulu is Finland’s most northerly city. 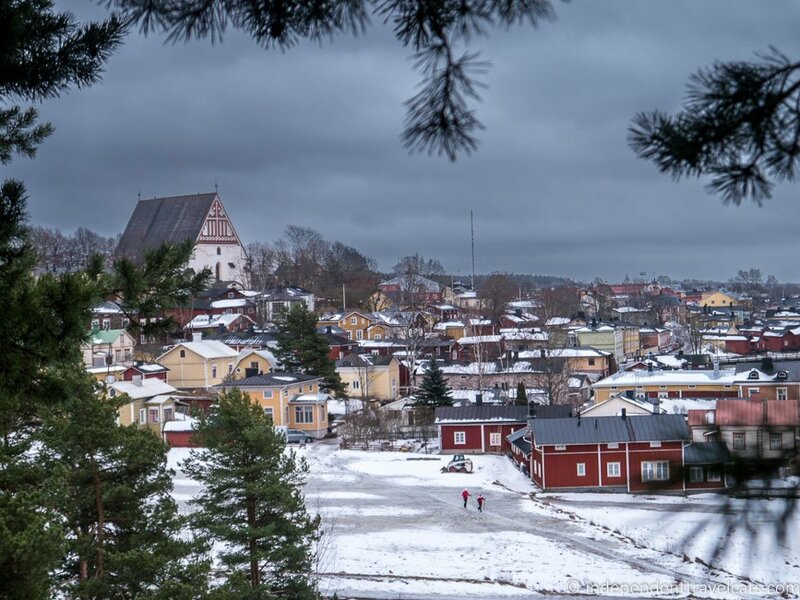 Found on the bay of Bothnia, this waterside town has something to offer whatever time of year you visit. In the summer the long warm days give rise to a wonderful cafe culture, and the cities waterfront location means there is a lot of scope for water activities – everything from stand up paddle boarding to wilderness canoeing through to just visiting the beach. 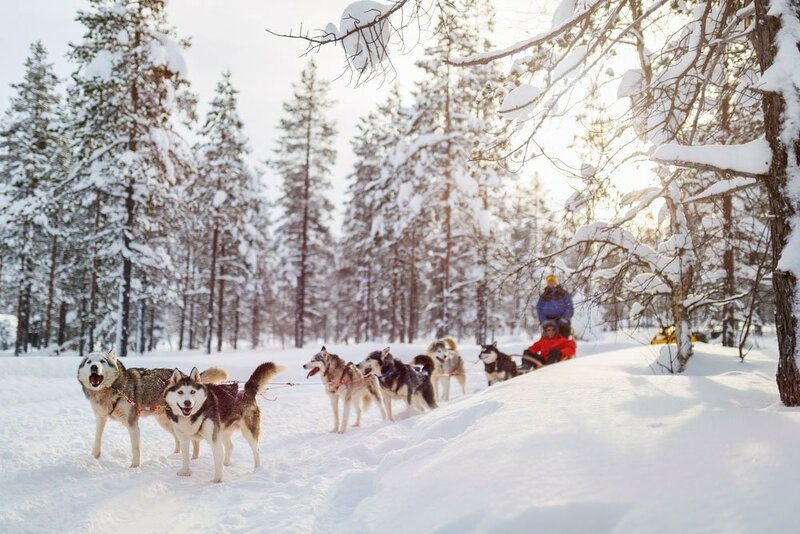 In Winter, Oulu becomes the perfect launching spot for all the winter activities you’ve always dreamed of doing – husky sledding, spotting the northern lights, and snowmobiling – to name but a few. Winter is also the perfect time to wrap yourself up warm and enjoy Finnish delicacies – don’t forget to try the reindeer and the cloudberries! Finally, no mention of Oulu would be complete without mentioning its most famous event. Oulu is home to the annual Air Guitar World Championships, where passionate air guitar players from around the world descend on the city to strut their stuff and battle for the title of Air Guitar World Champion. Not to be missed if your visit happens to bring you into Oulu when it’s on! With the second busiest airport in Finland, Oulu is easily reached by air, both from inside Finland and from further afield. You can also drive here of course. 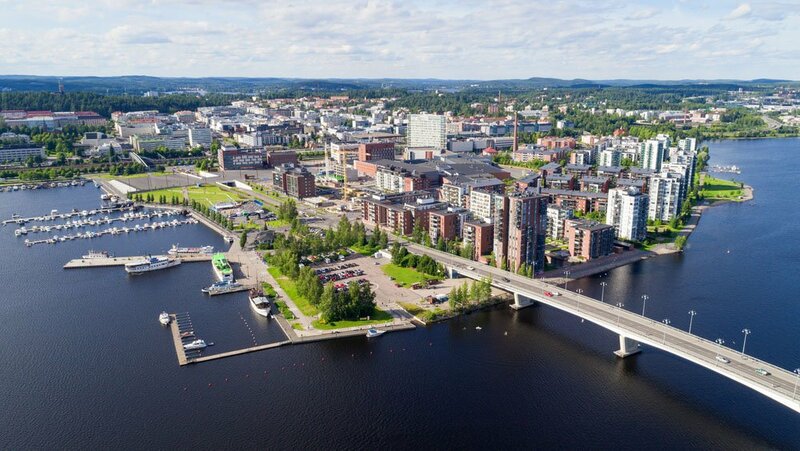 Jyväskylä rarely registers as a place worth visiting for the majority of visitors to Finland, unless a local friend invites them to stay at their summer house or sail on one of the many lakes. For most of the year, it’s a lively university town. For fans of the iconic Finnish architect Alvar Aalto, Jyväskylä has a museum that is devoted to his life’s work. Some of his buildings, including the said museum, the police headquarters and the labour club, are in the centre and in the surrounding countryside. For everyone else, these spaces, with their clean design and references to nature, are the stuff of Pinterest envy. In early August, the university students may have returned home for the holidays but, for a single weekend, thousands take their place in the town. They come for the annual Rally Finland, the World Rally Championship’s blue riband event. 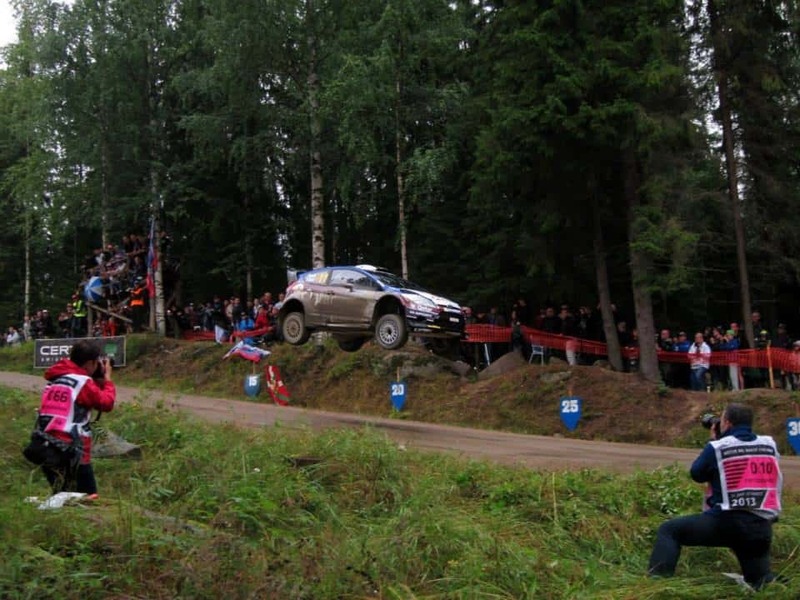 Over four days, the world’s best drivers (sorry, Formula 1 fans) race their steeds through the forest, on some of the most famous stages in rallying: Harju, Ouninpohja, Ruuhimaki, just to name a few. Major car brands such as Toyota, Citroen, Ford and Hyundai have teams in the championship. It’s a very slick operation, with the teams’ service park, the victory celebrations and at least one stage being in the heart of the Jyväskylä, and shuttle buses to selected stages. Accommodation gets fully-booked months ahead of this period, however; if you get to go for at least one day, the atmosphere can be infectious. Finns love their comfortable silence but they’re at their noisiest here, especially when the cars go sideways and fly through the air! Salla, located in Lapland, Finland near the Russian boarder, is a beautifully remote village and municipality north of the Arctic Circle. A two hour drive from Rovaniemi over frozen, icy roads, Salla is a popular winter destination and one of the best places to visit in Finland. As part of our winter road trip through Finland over the Christmas holidays we stayed at Sallatunturin Tuvat in a rustic two-bedroom cottage. We had a wonderfully warm private sauna and a fire place with a pile of wood waiting for us to use. While staying at Sallatunturin Tuvat we had a sense of being in a super remote and romantic arctic destination. At the same time, the cottages were surprisingly easy to reach and only a few minutes from the village’s restaurants and other conveniences. While Salla is probably most well known for its downhill and cross-country skiing, we visited for one of its more unique experiences – a reindeer safari. The Salla Reindeer Park offers a six hour excursion during which we rode in a reindeer-drawn sled out into the snow-covered wilderness. The jingling of sleigh bells echoed against the snow-capped evergreens as we were pulled across frozen lakes and through an icy forest. We stopped at an enclosure to feed our reindeer before heading back to a traditional Sami hut to warm ourselves near an indoor fire. I would recommend to anyone visiting the area. Lapland is Finland’s northernmost region and a sparsely populated part of the country. The area is probably best suited for adventure seeker type travelers and although there are plenty of things to do here all year round, winter is a special time of year to enjoy the subarctic wilderness! There are loads of things to do in Finland during winter in this region, which include skiing, snowmobiling, snowshoeing, saunas followed by jumping into freezing lakes, dog sledding, kicksledding, and sleeping in ice hotels. Most activities in the winter end with a campfire gathering which usually includes stories, coffee, pulla (Finnish sweet roll), and sausages. 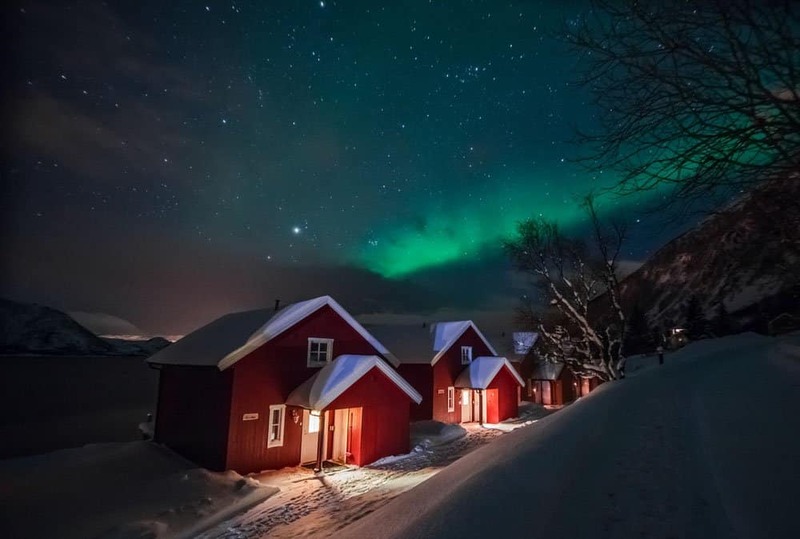 Lapland is also an area where there is a good chance to see the Northern Lights on a clear evening as all of Lapland is either near or north of the Arctic Circle. There are specially designed glass igloos that you can sleep in so you can view the Northern Lights without leaving your bed! If you come during summer, there are loads of hiking trails, biking opportunities, national parks to visit, and you can also experience the Midnight Sun. 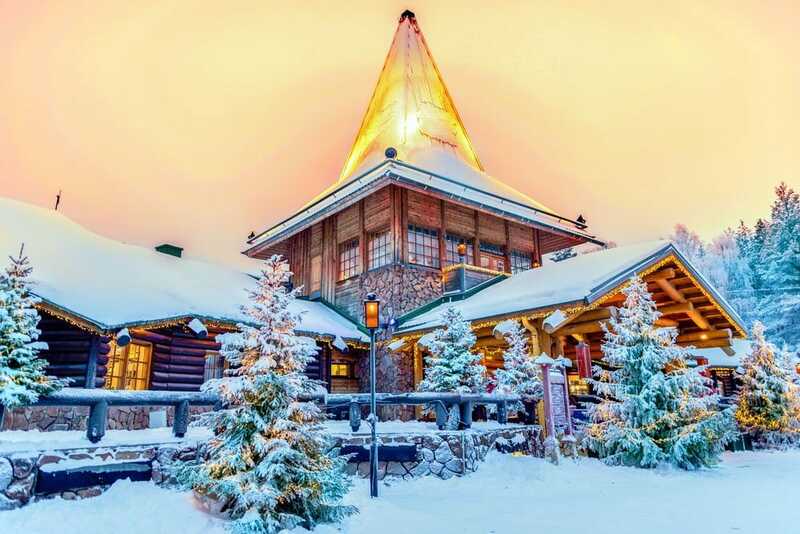 The region’s main city Rovaniemi is well-known for being the home for Santa Claus (he’s there year round! ), the Arktikum Museum & Arctic Science Centre, and the architecture of Finnish architect Alvar Aalto. Rovaniemi is a great place to stay and book tours. 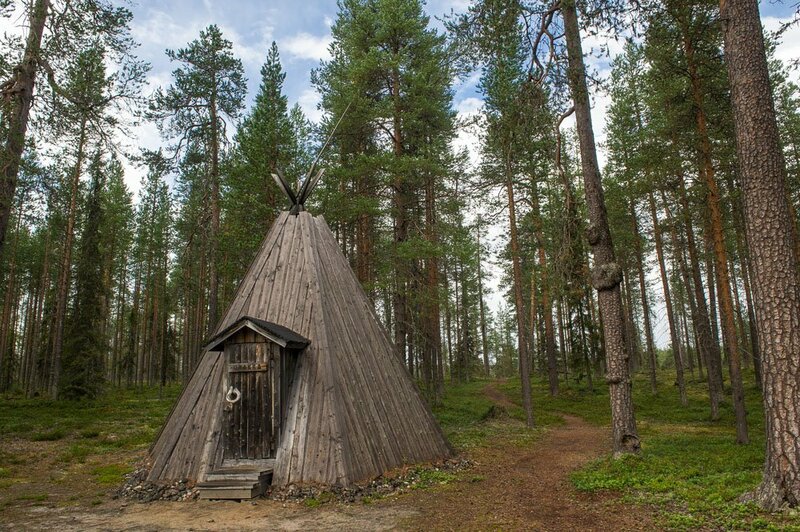 While in Lapland we’d also recommend taking the opportunity to meet and learn about the Sámi, the only indigenous people in the EU and a group that is fighting to preserve its language and heritage in northern Europe. Helsinki in our opinion is one of the underrated European capitals. Quite small compared to Paris, London or Berlin Helsinki has its own unique vibe and mood, it’s a city comfortable for living, safe, optimal for cycling and easy to commute. Some people think it’s boring, but they are wrong, there are plenty of things to see and to do here. Helsinki is located on the shore of the Gulf of Finland; its harbor is one of the most popular weekend places (mostly in summer). If it’s a sunny day, you’ll see many people walking around enjoying short northern summer. There are plenty of bars and restaurants with open terraces where you can have traditional Finnish salmon soup or just eat delicious local ice-cream. Of course, the Market square is not only a ferry departure place it hosts the daily food market (Mon-Sat, in summer on Sun) that is opened from early morning till late afternoon. And if you’re lucky to be here in summer you’ll be delighted with all the forest and garden berries you can buy; strawberry, raspberry, bilberry and cloudberry (the best and the most expensive one). If you come here in autumn, then it’s mushroom not to miss fried potatoes with forest mushrooms. In winter it’s a Christmas market where you can get a cup of hot coffee or chocolate with ginger cookies. The main Helsinki symbol is the cathedral that crowns the city center, it looks very impressive and is basically visible from anywhere in the city. Modern art lovers will find interesting Kiasma, a contemporary arts museum, the building itself is a piece of modern art. And the last but not the least place to visit in Helsinki is Sibelius monument dedicated to the greatest Finnish composer Jean Sibelius, it’s one of the most interesting and inspiring monuments I’ve ever seen. 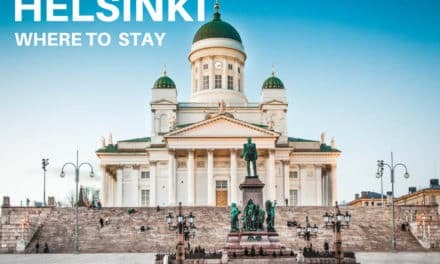 Click here for a one day Helsinki itinerary and if you are looking for the perfect Helsinki accommodation click here. 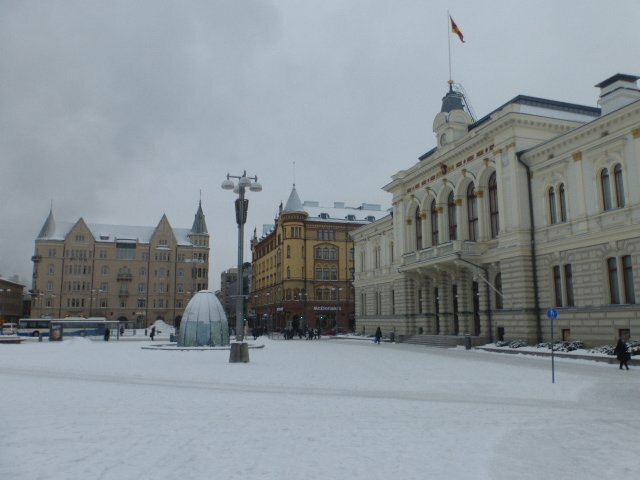 Don’t ignore Tampere which is charming even in the depths of the winter months. It’s a great city to visit because it’s compact, easy to get around and it has a fascinating mix of old and new. Tampere was founded on industry during the Industrial Revolution thanks to the river that cuts through the middle of the city and which to this day provides power for the city. The river banks are taken up with the red brick buildings that once housed the factories and the mills and which now host galleries, shopping malls and government buildings; however you don’t have to venture far to discover some beautiful walks in the country next to lakes or through the forest. Tampere has more than its fair share of museums too. Some of them are in bright shiny new buildings, others share space in some of the old mills and most of them cover some rather specialist topics, such as spies, ice hockey or the Moomins to name just a few. You will find streets lined with the impossibly delicate looking wooden houses plus churches and cathedrals that range from the plain and austere to the onion-topped spires of the Russian Orthodox church. You can go to the beach, climb the observation tower in the forest at Pynnikki Park or warm your hands around a mug of hot chocolate in a steamy little cafe if you visit in the winter months. Finland is a stunning spot in Eastern Lapland along the border of Russia that is one of the most picturesque places I have ever had a chance to visit! I recently went up there and had the opportunity to visit Ruka, a very well-known ski resort. Ruka is one of Finland’s premier ski resorts and I had the chance to learn how to snowboard there. I was definitely no pro by the end of it, but I can’t wait to try it again. 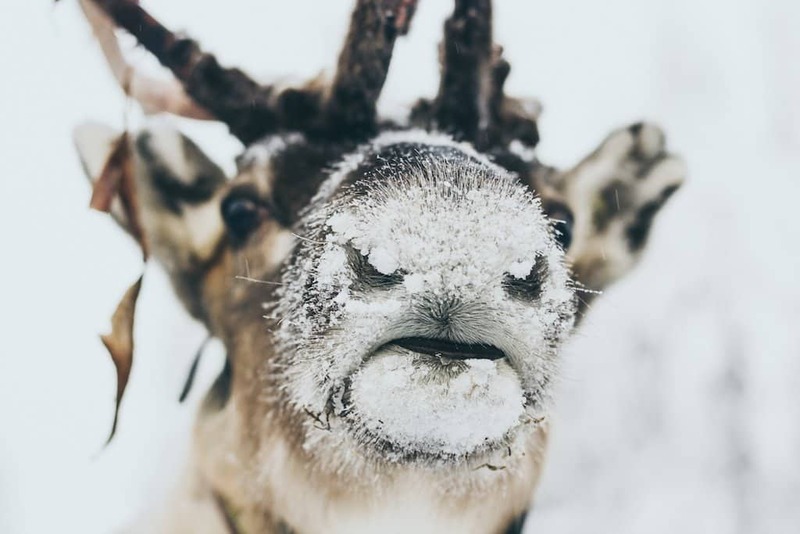 Kuusamo also has many Sami people and you can visit reindeer farms and learn about the culture of the people and families that rely on reindeer in their everyday lives. Many activities exist in the Kuusamo region of Finland- everything from husky sledding to living a ‘Day as a Finn’ to hikes in the Oulanka National Forest to ice climbing and snowmobiling! I went in winter, but the activities were endless! In summer, the region is known for its bears! You can even go spotting brown bears when there- something I am so keen to do in the future. This is a can’t-miss area of Finland that will leave you wanting more and planning another trip back to Lapland. Though some people consider Espoo to be just a suburb of Helsinki, people living in Espoo claim that it is actually the seconds biggest city in Finland. Not only that but also it has a healthy startup balance with many young companies choosing to base themselves exactly in Espoo. But besides the size and good career prospects, Espoo has something else to offer to an adventurous visitor and that would be the getaway to the Nuuksio national park outside the city. Just a short 15-minute ride from Espoo or 40 minutes’ drive from Helsinki you’ll find yourself in the real wilderness of Nordic natural beauty. In the summertime, people come here for water activities in the lakes, such as kayaking, swimming, and fishing. It is a popular place for hikes and just being out in nature. Winter, on the other hand, turns Nuuksio national park into a totally different setting, where you’ll be mesmerized by snowy pine peaks and selection of winter activities to do. The list includes ice finish, snowshoeing and, of course, taking loads of pictures of a winter wonderland. This is the ideal place to try camping in one of the traditional Finnish tents with a fireplace inside for making tea and frying pancakes. Whenever you decide to go, Nuuksio national park could be your day trip from Helsinki. When I think of a great place to visit, Saimaa in Finland comes first to my mind. Couple, friends or family, Saimaa is for everybody. You can visit Saimaa both in summer and winter. I like it as a winter destination when all you see is white around you. 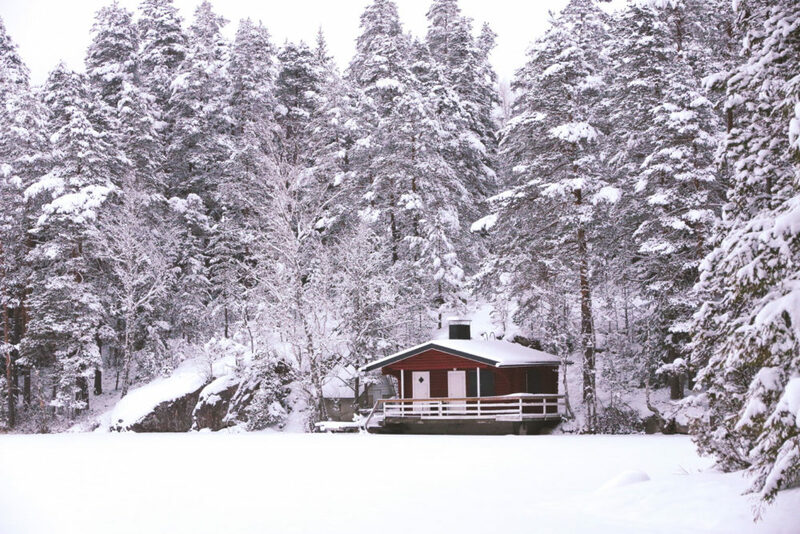 The famous Saimaa Lake is frozen and one can do a lot of indoors and outdoors activities. If you enjoy ice fishing, you can try it at the lake. Your guide can help you dig a small hole in the thick ice of the lake and then it’s pretty much up to your luck and patience. Cross country skiing on the frozen lake is another popular winter activity. I was more than happy to see the skiers went whizzing past me. What I like most is snowmobiling. I have done it in a few countries and loved doing it here as well. Sturdy and comfortable, snowmobiles are cooler way to explore the vast expanse of area. Have you ever tried ice swimming in that sub-zero temperature? Lake Saimaa is the answer. Another activity is skating on the frozen lake. When the snow is fresh and knee deep, I like to go for snowshoeing. Probably you’d want to go for a reindeer safari? Among indoor activities, there is a very popular indoor park, Angry Bird Park. Children and adults both enjoy it equally. Jacuzzi, swimming pool, Sauna and spa treatments are some of the other indoor activities. Seinäjoki lies in the Southern Ostrobothnia region in West-Finland, a pleasant 3 hour train ride from Helsinki’s Central Station. At the Alma hotel, located right next to the station, you have the chance to spend the night in the old water tower of the town and unwind in your personal en-suite sauna. The restaurant dates back to 1909 and was used by the railroad workers back in the day. In Winter, temperatures are around -25 tot -30 degrees Celsius, so pack up warm and get active! ‘Komiat Hetket’ is a company specializing in various experiences in the Finnish wilderness and with them, you can go Nordic walking, snowshoeing, kicksledding, ice fishing, learn wilderness skills or even build your own igloo. Warm up with traditional Finnish coffee and a ‘monki’, a donut-like pastry filled with blueberries. For the kids, the ‘Duudsonit Activity Park’ is another highlight. ‘The Dudesons’ are a four-man stunt group with similar fame as the guys from the ‘Jackass’ TV-series. At the park, you can experience what it’s like to roll down a hill in a shopping cart, shoot balls at people trying to complete an obstacle course or jump into an ocean of foam blocks and hit the trampolines, just to name a few things. Art lovers can explore the ‘Taidehalli’ (Art Hall), which offers changing exhibitions of modern art and architecture fans will recognize the many buildings by famous architect Alvar Aalto. The white church (‘Cross on the Plain’) was the first building erected in Seinäjoki and both outside as inside are by Aalto’s hand. The town of Rauma in western Finland is an absolute must-visit when in Scandinavia, and is an easy day trip from Helsinki or Stockholm. The old town centre is a UNESCO world heritage site, and it’s not hard to see why. It’s the largest and best preserved old wooden town centre in Scandinavia, consisting of 600 old wooden buildings spread out across 70 acres, with the oldest buildings dating from the 18th century. 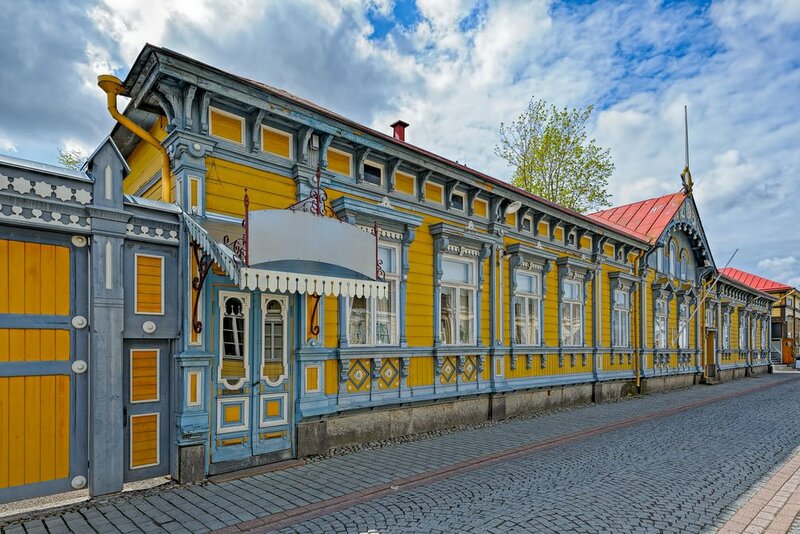 So naturally, a walk through the old town centre should be high on your to-do list for Rauma, where you’ll find a range of specialist shops as well as historic and artistic highlights. There’s more to Rauma than the old town centre too, impressive though that is. Rauma is renowned for its lace-making, and you’ll want to stop in to see lace being made in the traditional way, and maybe even give it a go yourself, or, failing that, buy a hand-made piece of lace. We picked up a lovely pair of lace earrings for example, which are certainly among the more unusual earrings Jess has! Finally, Rauma is located on the coast, which opens up a world of possibilities. There are 300 islands of the Rauma archipelago to explore, which can be accessed by water taxi in summer – or you can skate to them in Winter! Are you convinced that there is more to see in Finland? Which of these places have you visited or added on your bucket list?